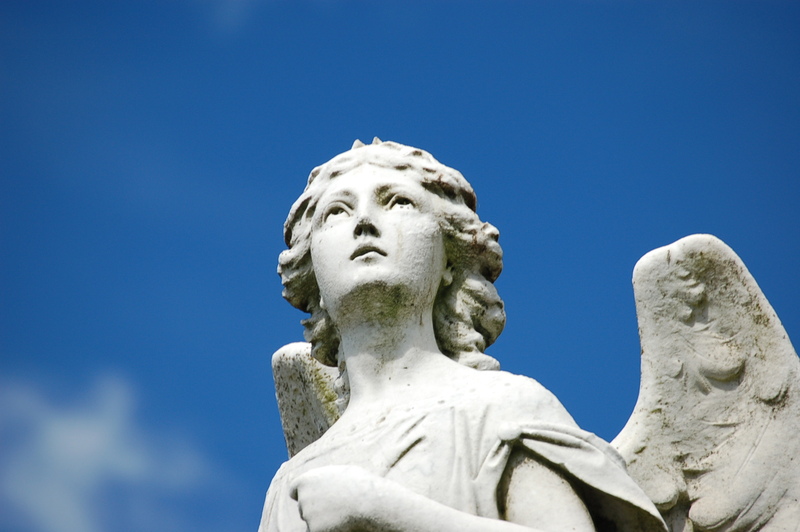 Belief in guardian angels can be traced back to the beginning of time. The concept is clearly present in the bible. Mystics, Christians, Catholics, Jews, Pagans… I could go on and on. In almost every religion there is mention of guardian angels. Some Muslims believe we each have two guardian angels, one on each side of us. Guardian angels are said to be assigned to individuals to aid and protect. It’s really a matter of faith. Do we all have a guardian angel? Could such a lovely thing be real? There is no scientific evidence to prove that guardian angels exist. So for now, it is truly a matter of faith. A dear friend of mine once told me that when we dream of those special and close to us that have passed, it’s their way of communicating with us. A lot of us have had those moments when we sense something special, whether smells, visions, or dreams of a loved one that has passed. In those moments, our brain tries to rationalize and say, “Oh, it’s just my mind playing tricks on me, that wasn’t real.” My friend told me to simply believe. If a loved one that has passed comes into our consciousness or dreams, take it seriously and allow yourself to believe that it really is them communicating with you, letting you know that they are ok. Sometimes they may even be sending us an important message. I choose to believe this because I’ve had all too many occasions in which a loved one has visited me in my dreams or in some other random, odd way. It always brings me such peace, not to mention happiness, at getting to see them again or have the memory of them alive in my thoughts. I sometimes wonder if these special loved ones are my guardian angels. Or could there maybe be an assigned angel that is all mine? I will never know. But I do know that I have had so many moments in which I know for a fact that I should’ve gotten hurt or even worse, killed. You know those times when you’re driving and you have such a close call that you cannot fathom how you did not wreck? Moments when you think that by some miracle you magically escaped injury or worse? Or just simple moments when you slip but somehow mysteriously catch yourself and avoid getting hurt. Even those moments when you’re given the courage to face something in your life, do something brave, stand up for yourself, or take a leap of faith. Is there a guardian angel at our side guiding us along, giving us strength, and leading us into the direction we’re meant to go? I don’t know and I’m quite certain I will never know for sure. But I do know that I choose to believe, to have faith that a guardian angel (or angels) is looking after me. I’m thankful for them. I’m thankful for those loved ones that have passed on, but are still in my heart, in my dreams and watching over me. Whatever the explanation may be, I will continue to have faith. This entry was posted in Shannon Boatwright and tagged angels, Columbia, every woman blog, faith, Famously Hot, lexington medical center., Midlands, shannon shull, South Carolina by lexingtonmedicalcenter. Bookmark the permalink. I love this and the beautiful images it creates…angels are among us everywhere, some sharing love from above and some reaching out to give a hug! Thanks for sharing.